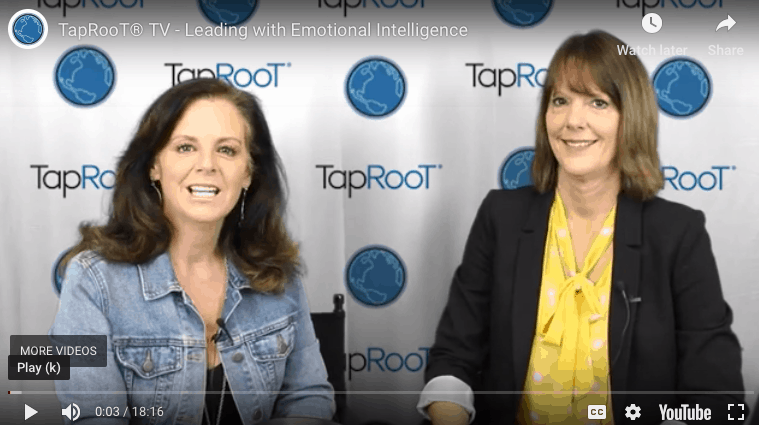 On last week’s TapRooT® TV, Barb and Benna discussed how understanding Emotional Intelligence can help you improve your Leadership skills. Make sure you tune in every week to receive helpful tips on how TapRooT® can help you and make your job easier! every time we upload a new video. 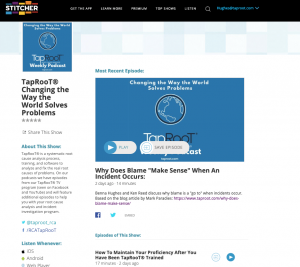 TapRooT® has started a Podcast channel so you can listen to use on the go! 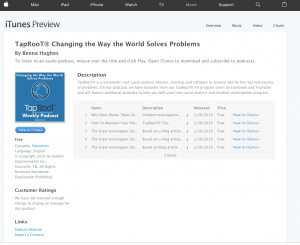 You can find our channel on iTunes and Stitcher.